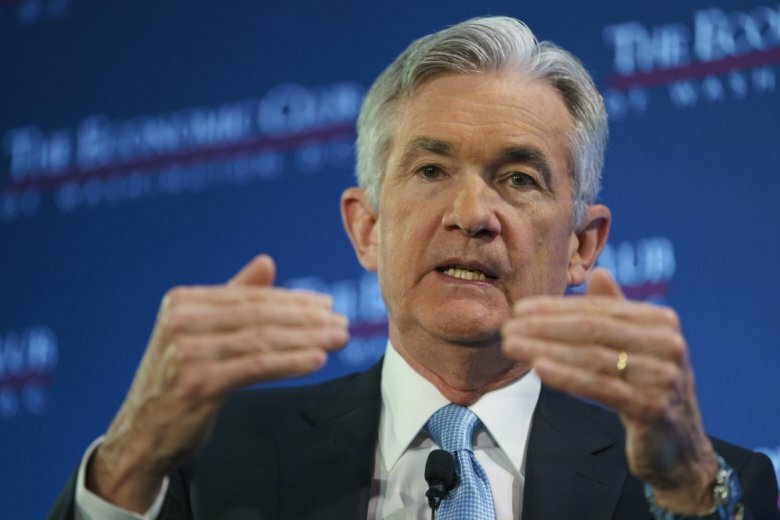 WASHINGTON (AP) — Federal Reserve Chairman Jerome Powell said Thursday that the central bank has the ability to be “patient” in determining when to hike interest rates. Speaking to an audience in Washington, Powell delivered the same reassuring message of restraint and flexibility that bolstered markets last Friday. In his remarks before the Economic Club of Washington, Powell described the economy as strong at the end of last year, with the lowest unemployment levels in a half-century and solid gains in wages. At the same time, Powell said there are concerns in financial markets about slowing global growth and rising trade tensions. It would be up to the Fed to decide how to balance those worries with the signals of a strong economy. “We have the ability to be patient and watch patiently and carefully as we see the economy evolve and figure out which of these two narratives is going to be the story of 2019,” Powell said. Powell also repeated his comments that attacks by President Donald Trump on the Fed’s rate hike policies were not having an impact on Fed decisions, which he said were aimed at achieving the Fed’s two goals of maximum employment and stable prices. Powell said that he had never met Trump before he was interviewed by the president in late 2017 for the Fed chairman’s job. Trump tapped Powell for the post after deciding not to offer then Fed-Chairman Janet Powell a second term. Trump stepped up his criticism of the Fed’s string of rate hikes last year after the market started falling sharply in October. Powell’s comments were similar to remarks he made last Friday in Atlanta where he said the Fed could afford to be “patient” in determining when to raise interest rates again given that inflation has remained muted. His comments and remarks this week by other Fed officials have all suggested the central bank is prepared to pause its string of rate hikes at the beginning of this year to assess the impact of the Fed’s credit tightening. That prospect has cheered markets, which had grown worried that the Fed was not taking into account a variety of headwinds that could slow U.S. growth this year. The Fed raised rates for a fourth time in 2018 at its December meeting and signaled that it would raise rates another two times in 2019. However, many economists believe the Fed may end up raising rates only once in 2019, and that solo rate hike may not occur until the middle of the year. Powell was also asked about the Fed’s plans to keep trimming its holdings of Treasury bonds and mortgage-backed securities, which it had purchased following the 2008 financial crisis as a way to keep long-term interest rates low and support an economy as it struggled to climb out of the worst recession since the 1930s. Those holdings are being reduced slowly as the securities mature, dropping by about $50 billion per month, and now stand around $4 trillion, down from a high around $4.5 trillion. Powell noted that the Fed’s holdings were around $1 trillion before the 2008 crisis. He said the Fed’s aim was to return the balance sheet to a “more normal level” but didn’t specify what that level will be. Markets have expressed concerns that the Fed’s operations to reduce the balance sheet could be depressing the markets and ultimately slow growth. Powell’s comments on Fed patience were similar to the message in the minutes of the Fed’s December meeting as well as the comments of other Fed officials this week. In a speech Wednesday, Charles Evans, president of the Fed’s Chicago regional bank, said that modest inflation allowed the Fed to “wait and carefully take stock of the incoming data and other developments” before deciding on future rate hikes.